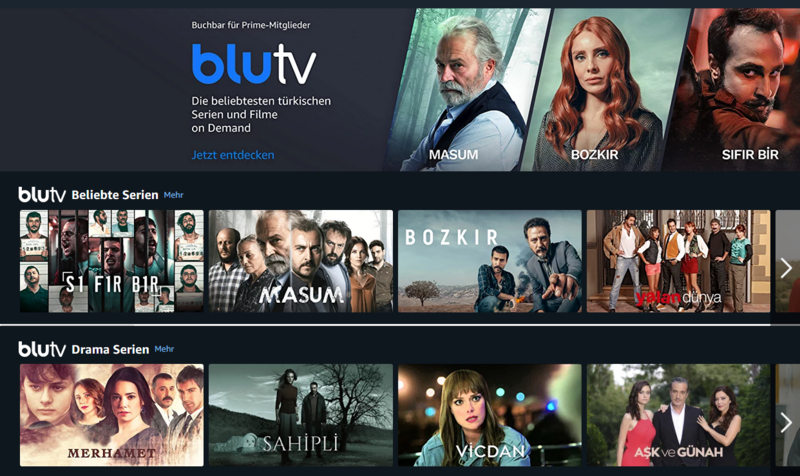 Turkish SVOD service BluTV has joined the Amazon Prime Video Channels line-up in Germany and Austria. Amazon Prime subscribers can access BluTV for €4.99 per-month. The service offers dramas, movies and TV shows, as well as BluTV original series like Masum (Innocent), 7Yüz (7Faces) and Sifir Bir (Zero One). 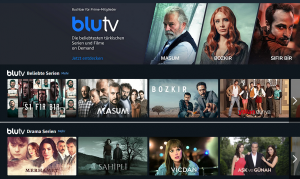 “We are proud to make one more step towards our vision of becoming the number one VOD platform for Turkish content in the world,” said Aydin Dogan Yalcindag, founder and CEO of BluTV.